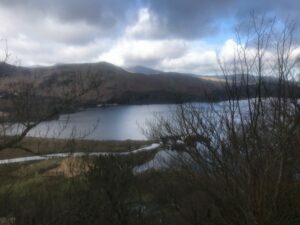 Eleven people attended Bremex’s meet from 22nd – 24th March 2019 based at the Derwentwater Independent Hostel. Nine stayed the whole weekend, while the other two came just for the Saturday. Summer conditions prevailed, which enabled participants to take advantage of the great scrambling opportunities in the area. 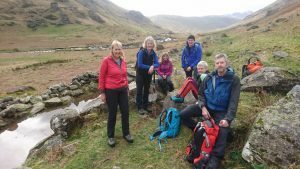 Saturday was a big day with eight people completing the grade 2 Cam Crag Ridge, which is regarded as one of Lakeland’s finest scrambles. 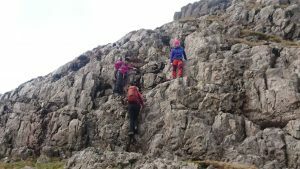 There were various levels of experience within the group, but we were able to support and help each other in a typical Bremex way and everyone completed the route without needing to use the rope and gear that we carried. O n completing the scrambling ridge, the party split in two with half continuing to the summit of Glaramara. 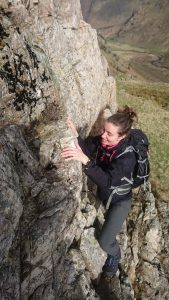 Sunday was a shorter day with participants doing various walks and scrambles around Shepherds Crag. 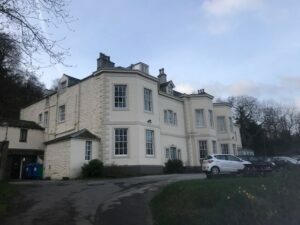 Accommodation was in the Derwentwater Independent Hostel located in Barrow House, an elegant Georgian house overlooking the lake. On the Saturday evening all eleven participants had an evening meal together, sat round a big table in the hostel dining room. A birthday was being celebrated, so there was also cake.